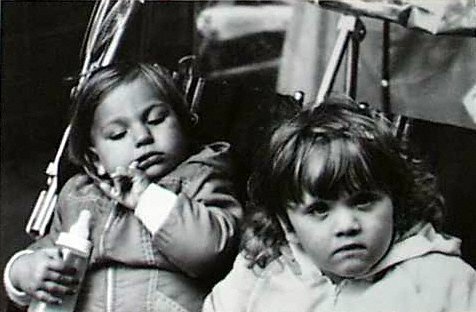 Caption: Children in a pushchair by Peter Hawkes, 1987. From documentary photographic project organised by Berkshire Artists Group, The Reading Dusseldorf Association and The Reading Festival Society to coincide with the 1987 Reading Festival. Local photographers contributed photographs taken between 12 noon Friday 5th June and 12 noon Saturday 6th June.